Dennis Fois takes on leadership with goal of bringing clarity to the role of the contact center in digital transformation. While NewVoiceMedia was founded as a cloud contact center solution provider in 2000, based in the U.K., for many readers the name may be only vaguely familiar. You might have seen that the company achieved leadership status in Gartner's Magic Quadrant for Contact Centre as a Service in 2017 for Western Europe. But if your company isn't in Western Europe, you probably didn't read any further. NewVoiceMedia's relative lack of brand awareness in North America is likely particularly frustrating to the venture capital firms, many U.S.-based, that have invested $135 million in the company in the past five years. This is especially true as in each press release announcing an additional $30 or $50 million of funding the company has included a variant of the statement: "The new investment will accelerate NewVoiceMedia's international growth plans, with particular emphasis on the North American market." 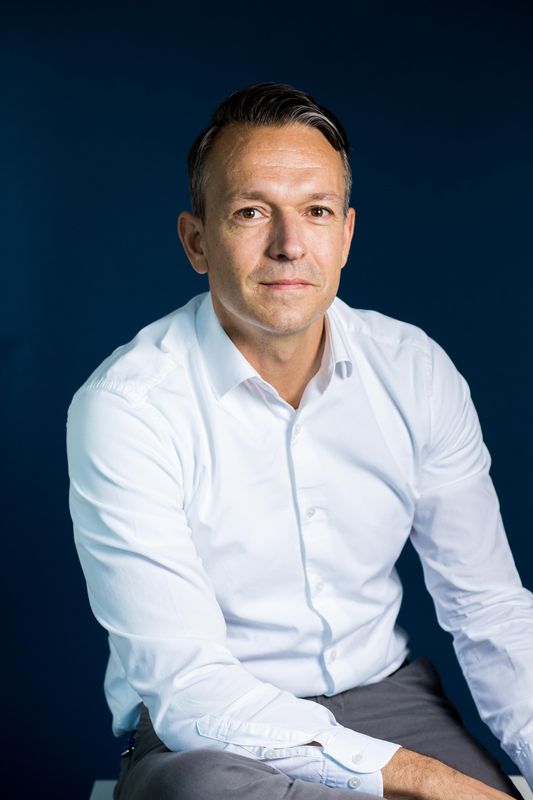 NewVoiceMedia last week appointed Dennis Fois as CEO, following his 12-month tenure as president and chief operating officer. I had the opportunity to speak with him and ask what's next for NewVoiceMedia under his leadership. Most cloud contact center vendors are still approaching the market from the perspective of cost-reduction and cost-effectiveness, Fois said he believes (I'd agree this is perhaps true for some but certainly not for all vendors). Fois said he wants NewVoiceMedia to help its customers create "a more elegant, symbiotic relationship between where digital stops and starts and where live [agent assistance] starts and stops." Fois' statement is reminiscent of the Genesys blended AI approach. "Our role is not to reduce the human aspect. We think that would be a fundamental mistake in the experience economy," he said. What this means in terms of the company strategy, according to Fois, is "everything that we are going to do at NewVoiceMedia will center around the product. That will be the first big change, because NewVoiceMedia has been very focused on sales and marketing." In the past, "the company has had a start-up mentality, and today our focus is really to drive a product agenda to fulfil and realize this vision," he added. A common perception in the market is that NewVoiceMedia's ContactWorld for Service and ContactWorld for Sales solutions work only with Salesforce Service and Sales Clouds, respectively. I asked Fois if under his direction the company would continue to target only companies that use Salesforce CRM, to which he replied that he's working to decouple the product agenda from the go-to-market agenda. ContactWorld wasn't developed exclusively for the Salesforce ecosystem. For example, NewVoiceMedia didn't build ContactWorld on the Salesforce platform-as-a-service platform, Force.com, but rather, like other CCaaS companies, it uses APIs to connect to Salesforce. Also like others (e.g., NICE inContact with CXone and Aspect with Via), NewVoiceMedia is on a journey to rebuild an initially monolithic application architecture as a microservices architecture. "We're quite far down the line" on rebuilding in microservices, reported Fois, "and it is a very big priority." Being architecturally agnostic to Salesforce would mean that NewVoiceMedia ContactWorld could work with any CRM solution. As a go-to-market approach, however, targeting the Salesforce CRM customer is and will continue to be a good strategy, Fois said. "For the foreseeable future, I don't see that changing. I think it's a good go-to-market message." Fois went on to say that NewVoiceMedia's focus on Salesforce might be a competitive advantage. "We are probably the only company in the space that has a monogamous relationship with Salesforce." He refers here to the fact that most of the cloud contact center vendors pre-integrate to several of the cloud CRM vendors, including Oracle, Zendesk, and Microsoft. Fois implied that the exclusive Salesforce go-to-market approach gives NewVoiceMedia a unique opportunity to work with Salesforce in accounts that are moving from premises or home-grown CRM systems. In these opportunities, Salesforce and NewVoiceMedia teams are focused on winning together -- i.e., NewVoiceMedia won't win if Zendesk or Microsoft wins the deal. My point of view? We'll be seeing a lot more of NewVoiceMedia in North America in 2018 than we have in the past, and likely reading about them a lot more here on No Jitter.